Unique times, often, brings with it, unique work. 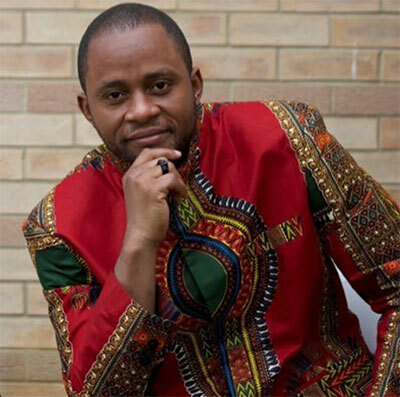 Congolese, writer, producer Ne Kunda Nlaba has worked tirelessly across continents to finally tell the story of an African heroine who fought against enslavement and the Portuguese catholic church of the 1700s. 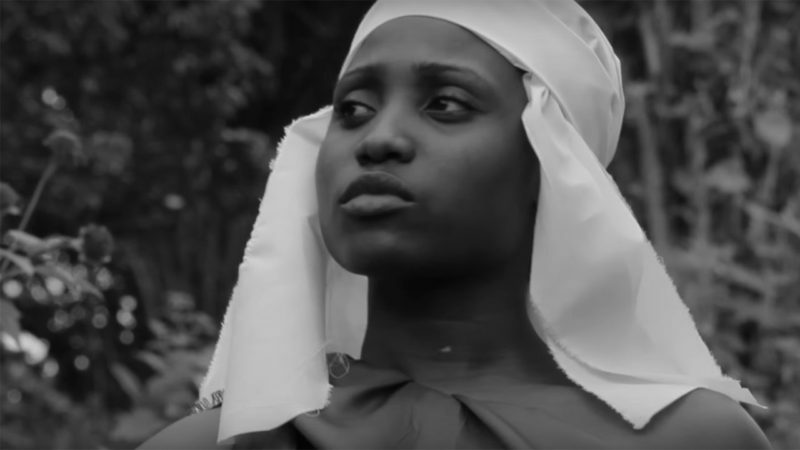 His docu-feature, Kimpa Vita – The Mother of the African Revolution, has sold out theatres in Angola and France and has already created a buzz as it heads to Brussels and Kinshasa. 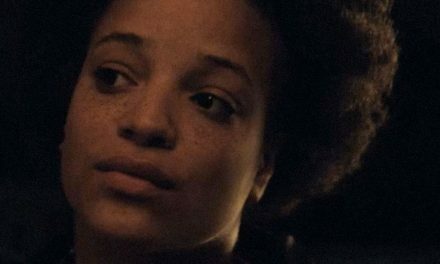 TBB’s Kunga caught up with the acclaimed filmmaker before its eagerly anticipated UK premiere. Why did you make this film about Mama Kimpa Vita’s life? I decided to make a movie about Mama Kimpa Vita, from the first time I learned of her story and the first time I saw her image 10 years ago. I felt connected to her straight away and as an artist, I thought about doing something as I found her story fascinating. Looking at that period back in the 1700s, while the Kingdom of Kongo was being destroyed, people were being stolen, enslaved, tortured and killed, seeing a young 20-year-old woman fighting against this, is exceptional. She was standing up, speaking and fighting about this evil system. This was not something easy. She must have been of a higher spirit to have shown such courage! Telling Kimpa Vita’s story on screen is keeping her memory alive. Promoting her legacy and her contribution for African freedom and human rights. I think she had a vision, an ideology that people should learn about. Her story should even be taught in schools, not only in Africa but around the world. 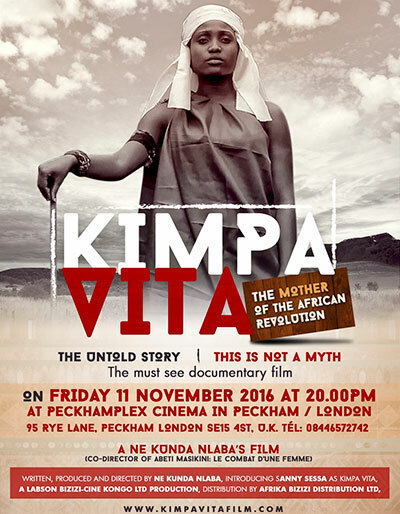 Your film is called Kimpa Vita – The Mother of the African revolution. What do you mean by this? I think Mama Kimpa Vita has made a very significant contribution in terms of the Revolution against the enslavement of Africans and African people in general. During her struggle, slavery ended not only in the Kongo Kingdom but this also affected the heinous practice in the region as a whole. Through her revolution, many revolutionaries were born and the movement even went to America and Brazil where many Africans were also taken. Are there similarities between Kimpa Vita and the more widely known, Queen Nzinga who also hailed from early Kongo (Congo)? Queen Nzinga and Mama Kimpa Vita both fought for the freedom in the Kongo but queen Nzinga lived few years before. Both defended the values of the Kongo. But Mama Kimpa Vita went further by restoring the African traditional spirituality that existed in Africa before Christianity and Islam. It has been said that Queen Nzinga may have had many contradictions, such as her reported involvement with the enslavement of Africans, her alleged involvement in the murder of her own nephew and her conversion to Catholicism with the blessing of the Portuguese invaders. How objective is your film, and do you feel the audience will better understand the complexities of Kimpa Vita’s beliefs and activism? That’s the point of making this film. To help people have better understanding of Mama Kimpa Vita and her struggle which was mainly based on the reunification of the Kingdom of Kongo, the abolition of the so called ‘slave trade’ and the restoration of African spirituality. That’s why the film starts by introducing the Kingdom of Kongo, showing people how far it was developed as a nation before it’s encounter with the Portuguese. This helps clearly to establish what Mama Kimpa Vita fought for. Talking about the ‘reported’ contradiction of Queen Nzinga’s story, we need to remember there are big issues when telling our stories as slavers and missionaries played a big role in writing our history to their own advantage and have twisted a lot of things and made false statements. Many African historians use them as sources. That’s why there are many contradictions. Even while constructing Kimpa Vita’s story, we had issues as there are many versions of certain events. Such as the reunification of the Kingdom of Kongo, or the ending of the ‘slave trade’ and her fight for the restoration of African spirituality. Kimpa Vita spoke of a God in the likeness of a Black African spiritual being. 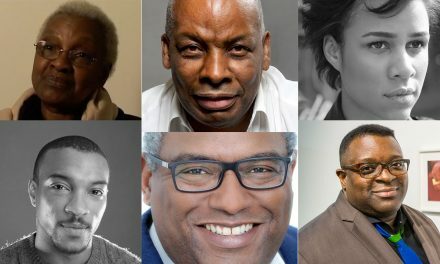 How difficult has it been to gain the funding of a project which explores race, religion and the fluidity of African spirituality? It was very difficult to get funding and we ended up by not getting any after many attempts. Not even from African governments, notably, Angola and Congo. We tried crowd-funding with no success. The project was self-funded. I believe race, religion, Black African spirituality, may be an issue in terms of accessing funding. But I think it gives more responsibility to ourselves as Black people. As we have to be responsible for our own destiny. We need to be the first in line to support our projects as it is in our own interest to contribute to the development of our community and the education of our young people. You have recently screened to packed out theatres in Angola and France and you premiere in Brussels in November. Why do you think your film is so important to these countries? Do you think audiences in the UK will gravitate to the life story of Kimpa Vita? I decided to start with Angola first as the major part of the story happened in Mbanza Kongo, the capital of the Kingdom of Kongo and in the province of Zaire as every July, there are celebrations of Mama Kimpa Vita. It was really powerful to have it screened for the first time where these historical events took place. Paris (France) and Brussels (Belgium) are places intrinsically linked to Africa and cities where we have a great concentration of African people and where people already know about Mama Kimpa Vita. Places where many are really connected to their Black history so these cities were obvious choices. DR Congo, the smaller Congo, Gabon of today is often considered a dictatorship in relation to the on-going crisis in DR Congo. What plans do you have to screen your film in the country of your birth; and what type of discussions do you hope will arise should you screen it there? Mama Kimpa Vita’s story and Dracon is among countries which are promoting our African heroes, spirituality and culturally with movements like ‘Vuvamu’. I know that the screening in Kinshasa will be phenomenal. It has been a little difficult to gain access there so that’s why I took a bit of time but we will definitely get a date very soon. The film is a collage of painstaking research and skill-fully selected interviews and stills. How did you decide on the overall style? 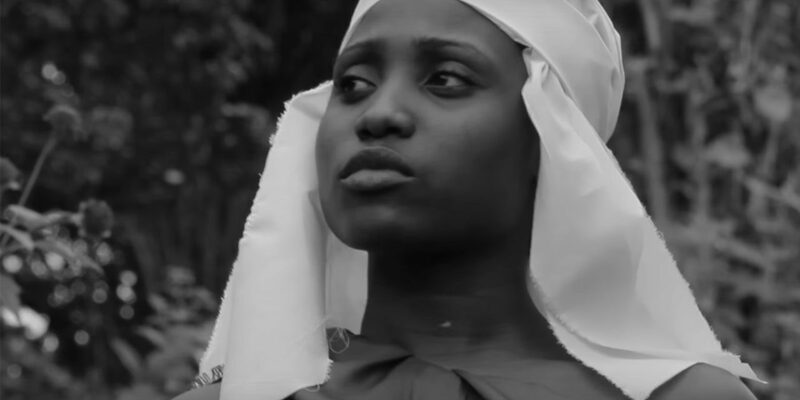 You also insert the stoic, black and white moving image of Sanny Sessa, (who portrays Kimpa Vita). 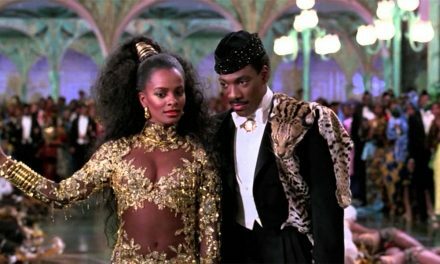 Did you feel it was important to give a contemporary feel to the historical narrative? To be honest, making a documentary like this, that tells the story through the early 11th century to the beginning of 18th century, at a time when no photo or video archives exist, is not easy at all. The only few images we have of Kimpa Vita are paintings or drawings, done mostly by missionaries. For a documentary like this we really needed to use more visual material in order to help the audience have a clearer sense of the time, while still associating with interviews from the historians and novelists who wrote about Mama Kimpa Vita. I think the story in this documentary is told in a very particular way, a form of ‘Kongo conceptualisation’ and reveals a lot of unheard things. So people must see it, in order to discover! Well, I watch film at home as well but I must say that the big screen is something different. This is the premiere, the first time the film will be screened anywhere, in the UK. The audience will also get the chance to meet with the film’s director and producer and discuss the film. I think it will be an exceptional event and a unique film night and one that is definitely worth attending as the young life of Kimpa Vita remains ‘the untold story’ of a courageous young woman who stood for her people and a young woman many call the Mother of the African Revolution! 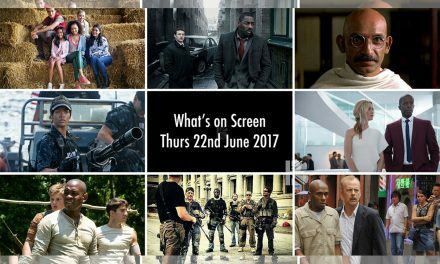 To book tickets go to the Peckhamplex cinema website. PreviousJacqui Lee-Pryce, The Fewniverse’s First Black British Female PM, Talks… Casting, Hair and Makeup!